Ten members assembled beside the extremely noisy A616 at 08:30 then quickly moved onto the relative peace of the Common. There was very little wind and though the sky was cloudy, it was reasonably warm. However, very little could be seen or heard in the way of avian fauna although sharp eared Dag picked up the call of a Woodlark but from the opposite direction to that which we were walking. 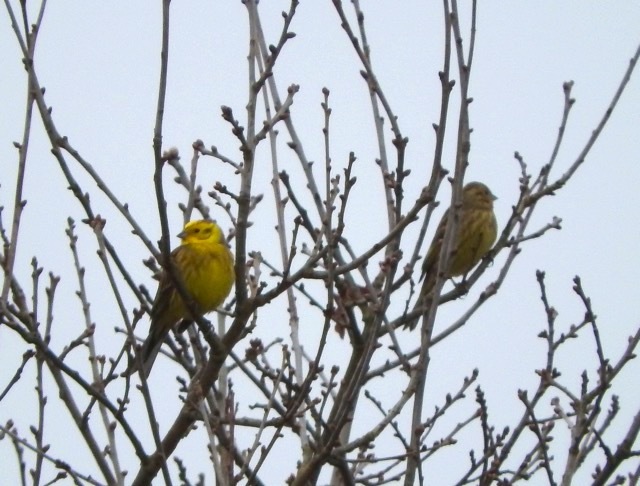 Pete Faulkner also possesses keen ears and his insistence that he could hear a Yellow Hammer was finally rewarded with a positive sighting. Five Jays in the nearby copse gave some entertainment before we were drawn onwards by the odd, faint call of a Woodlark. 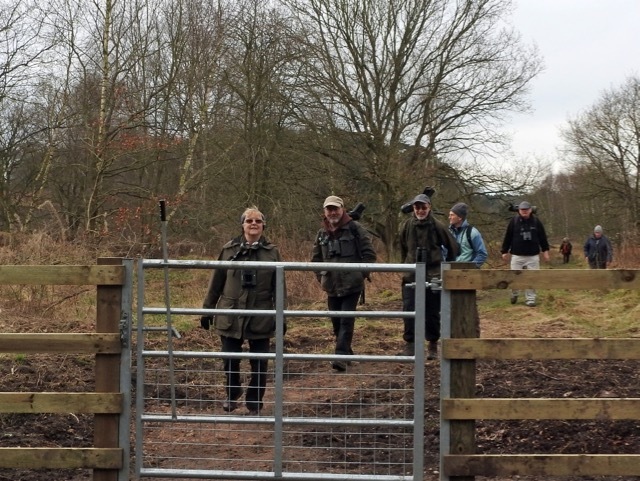 We paused in the middle of the Common just west of the cattle grid for a serious attempt to see our target species. Eventually we managed to locate one perched at some distance on the top of a tree. 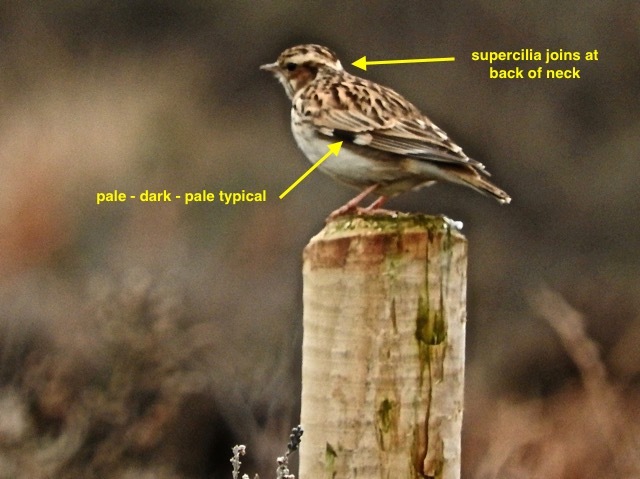 Now I don’t know whether Woodlarks are slugabeds or whether they take time over their breakfast before getting down to courting but all of a sudden, we were surrounded by calls and Woodlarks demonstrating their impressive song flight. On the subsequent meander around the Common, we also had sightings of a pair of perched Kestrels, two Common Buzzards and a Peregrine which flashed across the horizon. Just before lunchtime, we headed north to the Welbeck Raptor Watchpoint where almost immediately Dougie latched onto a Goshawk which everyone was able to catch a sighting of. This was the first of three occasions when Goshawks showed themselves. The other notable sighting was of 14 Buzzards in the air at once. A thoroughly excellent trip, 43 species seen all told with both target species in the ‘bag’ and for icing on the cake, we ended up in the pub at Cuckney!